China's economic boom in the past decades has been closely tied to the rapid expansion of the country's real estate industry. However, millions of Chinese homebuyers are facing uncertainty about property ownership, when cases appear in which private homeowners no longer enjoy the right of access to the land where their houses stand. Nearly four decades since China began the process of reform and opening-up, few things in ordinary people's economic lives still resemble Communist ideals. However, despite this transformation, there are things about China's economic system that still differentiate it from capitalist countries. 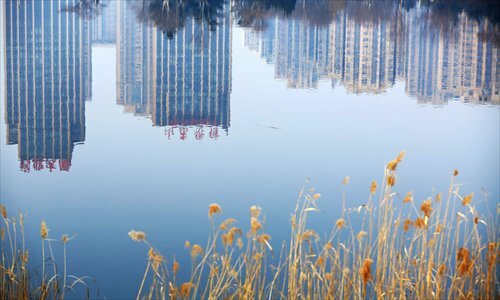 Last month, more than 600 property owners in Wenzhou, East China's Zhejiang Province suddenly found that the apartments they bought 20 years ago might not legitimately belong to them any more. The problem surfaced when one property buyer surnamed Wang was stuck in the middle when buying an apartment in Lucheng district, as the ownership of the property couldn't be transferred to her. She and the owner were told by Wenzhou Land and Resources Bureau staff that the warrant for the land which the apartment was built on had expired on March 4. The Wenzhou authorities told her that in order to finish the transaction, Wang would first have to pay a fee to extend the land warrant. The fee was calculated to be about 300,000 yuan ($46,140), almost half of the house's market price. Wang demanded the Wenzhou land authorities solve the issue, but was simply told that they sympathize with her. An anonymous official told National Business Daily the administration has suggested Wang suspend the transaction until the policies are clarified. This incident brought to light an underlying problem facing Chinese homeowners nationwide, who realized they might all face the same situation when the land warrants for their properties expire. Technically, Chinese homeowners don't fully "own" their properties even though they have a housing certificate. 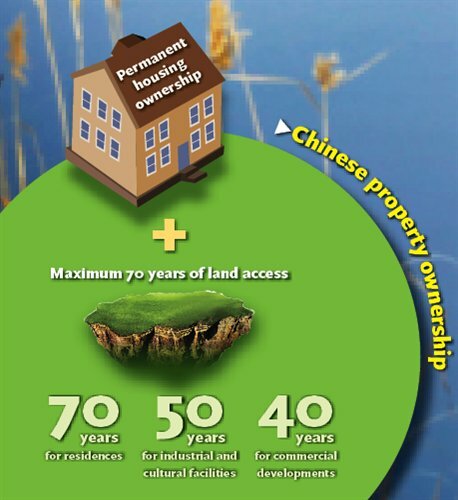 No individual is allowed to own land in the Chinese mainland. The People's Republic, after its establishment in 1949, nationalized all the land in the country by eliminating landlords in rural areas and confiscating the assets of capitalist business owners in cities. All land became State-owned or collectively owned, a situation which, as the PRC's Constitution says, is the centerpiece of China's land policy which forms the foundations of the "socialist economic system." Land can't be sold and all trading of land, which began in the 1980s, is only the transfer of access or usage rights. Given this background, property ownership is split into two parts, the building and the land it stands on. For ordinary homebuyers, property certificates prove their ownership of the building, but not the land. Many argue that this is the root cause of some local governments' lack of respect for property rights and forcible demolitions. Deng Xiaoping publicly talked about allowing property sales like Western countries in 1980. That year, the first commercial real estate development appeared in Shenzhen, the pioneering special economic zone in Guangdong Province that was the canary in the coal mine for China's free-market orientated reforms. In 1988, the National People's Congress amended the Constitution, replacing the phrase "forbidding land lease" with "permitting transfer of land usage according to the law." Then the Law of Land Administration was amended accordingly and real estate development started to boom, though many government organs didn't stop allocating free housing to government workers until after 2000. By adopting the "capitalist" trade of assets, China turned the real estate sector into a pillar industry. For more than two decades, the real estate industry enjoyed high-speed development, creating dozens of real estate tycoons who dominate the national rich lists, and driving related industries like construction materials, home furnishings and appliances into long-term prosperity. But all this success was built on a shaky foundation, as the issue of the ownership of land was never tackled. Before a real estate company develops a piece of land, it has to acquire a land warrant from the local government, usually through a bidding process. A land warrant for residential developments run for a maximum of 70 years, those used for industrial or cultural facilities last 50 years, while those for businesses and commercial-use buildings are valid for 40 years. Some local governments have also issued land warrants for shorter periods of time. 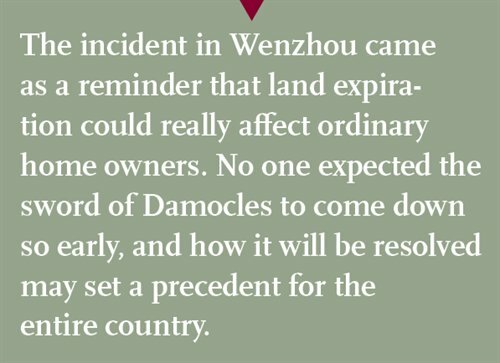 People are widely aware that the land warrants on their homes would one day expire before the Wenzhou case came to the public eye. But previously most people didn't feel an urgent need to push for changes in this policy, as 70 years seemed distant enough. Many even joked that there is no need to worry about land access 70 years from now, as many of China's buildings will have collapsed by then anyway. Many argued that governments wouldn't dare to start taking people's homes away, fearing massive public discontent. Thirty years into the reforms, a majority of city dwellers have bought their own properties. It would be tremendously difficult to work out the exact number of privately owned properties in all of China, as official statistics haven't been released. 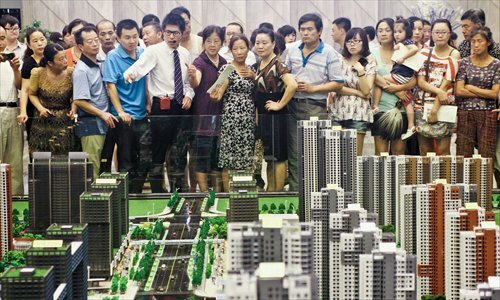 But last year alone, 364,700 second-hand houses were sold in Shanghai, while the figure was 196,000 in Beijing. But the incident in Wenzhou came as a reminder that land expiration could really affect ordinary home owners. No one expected the sword of Damocles to come down so early, and how it will be resolved may set a precedent for the entire country. When the Wenzhou authorities commercialized the city's housing system in the mid-1990s, it adopted flexible methods to reduce housing prices by cutting 70-year land warrants down to 20 years and 40 years for some properties so prices could be reduced accordingly. In fact, Shenzhen was the first city to see land warrants expire in the early 2000s, and also the first to legally address the issue. In 2004, Shenzhen issued a city-level law that allows property owners to renew expired land warrants for 35 percent of the current land price. On the national level, the laws concerning this issue are still unclear. As the country moves toward increasingly respecting individual property rights, a landmark law was passed in 2007 by the National People's Congress (NPC). The Real Right Law stipulates in Article 149 that land warrants for residential properties should observe a policy of "automatic renewal," though no explanation has been given as to whether a fee should be involved. Many legal experts tend to interpret the law as meaning that these renewals should be free, however, an "Interpretation of the Real Right Law," passed by the NPC, stipulates that "The length of renewed terms, and standard and payment of land usage fees should be decided by the State Council," implying the renewal doesn't necessarily come for free. So far the State Council has yet to rule on the matter. The Law on Urban Real Estate Administration, first passed in 1994, also orders property owners to pay for the renewal of land warrants. Phoenix TV reported on similar cases that appeared in Qingdao, which all ended with the property owners paying fees, ranging from hundreds of yuan per square meter to 35 percent of the calculated land price. Zhang Shaoqing, director of the land management department with the Wenzhou Land and Resources Bureau, told the media that the bureau is also baffled by the ambiguity of the Real Right Law. Without specific legal guidelines to follow, the administration has decided to calculate the current land prices and impose a fee. However, for millions of homebuyers, after paying an already exorbitant house price in the overheated market, another hit to their savings will be hard to accept.